This set contains 20 Bruynzeel Super Point Felt Tip pens with an extra thick, non-compressible point. The thick tip can be used to cover both large and small areas and cannot be pushed inside the pen. 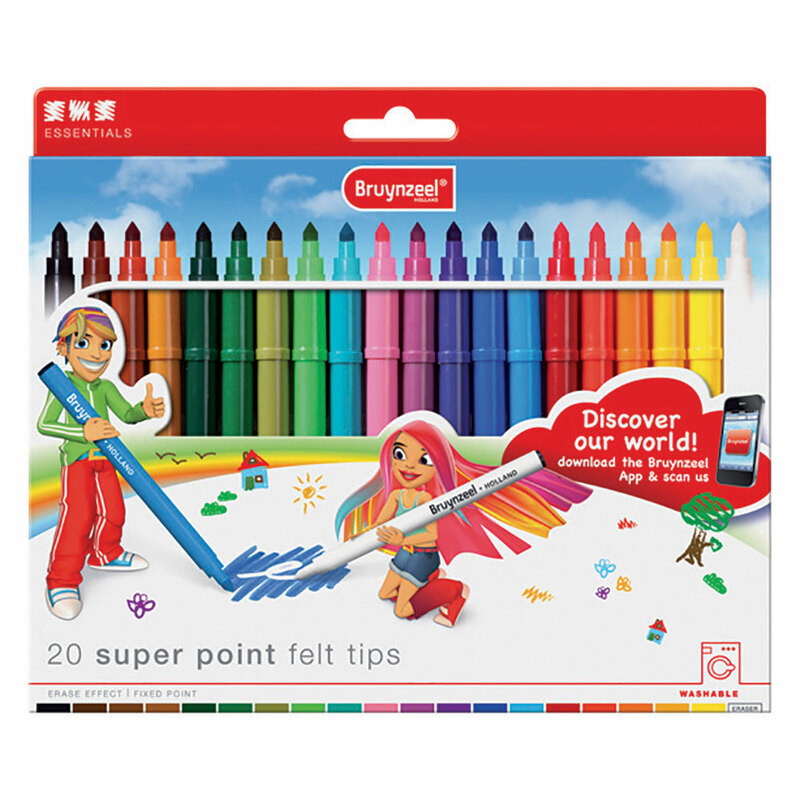 Included in the set is an Eraser pen which can be used to create a range of fun effects, and can also be used to treat pen stains and marks on fabric before washing.